Hey guys! 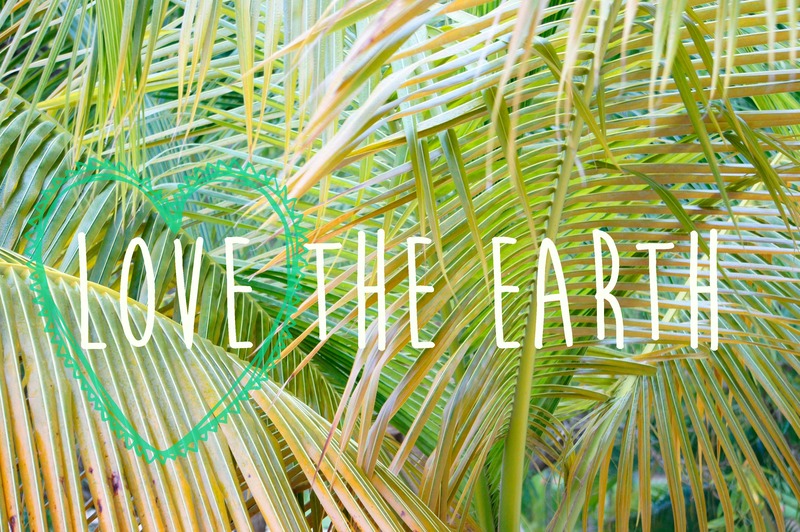 It’s time for the first Love the Earth post. I’m so excited about this series 🙂 Hopefully you will enjoy learning (maybe new?) simple ways to conserve energy and waste, and cherish the earth we live in. The most drastic, easiest, most effective change I’ve made in the journey to be more green has been eliminating the use of paper towels: I just don’t buy them anymore! For cleanup, since I don’t have a paper towel sitting on my counter, I instead grab the first thing that I see: a dishtowel! Or, if it’s messier, the kitchen sponge. It’s just as easy to just a cloth towel than a paper towel, but helps save trees. I throw the dish towels in the wash with my other towels or other laundry, so I’m not wasting water by doing an extra load, either. 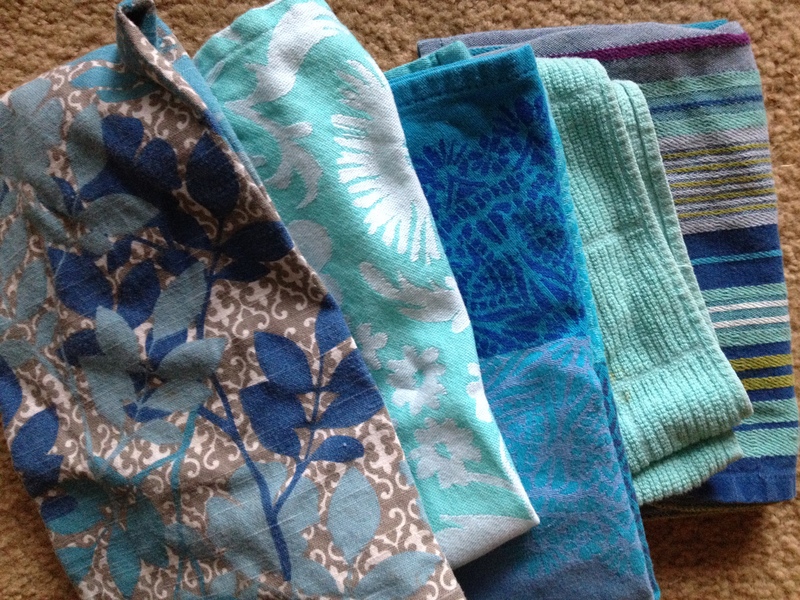 It helps to have beautiful dish towels that are sitting out on my counter, too. 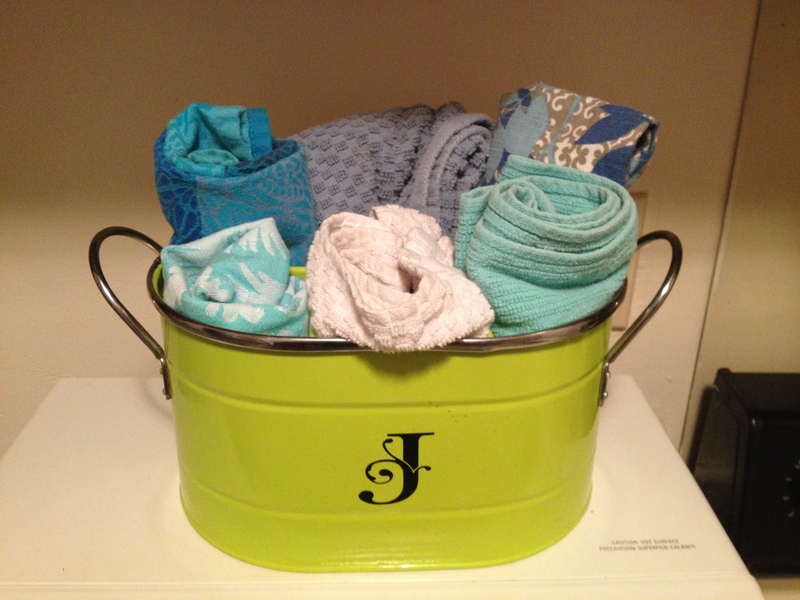 I keep them in this cute bucket that my cousin bought for me when she hosted my bridal shower.